News from the home front is, as usual, rather sketchy. We have had a beautiful, soaking rain this week and the garden has responded in a big way. Yesterday Bar got home from Nahant and no sooner had the train grime washed off than she was up there getting our vegetables for dinner – tiny, tender string beans, Swift Charge, and lettuce – yum, yum. Sunday morning, very early, the phone rang and in a voice suggestive of house-on-fire, Kilday said, “Come at once, the rabbit is eating the soy beans”, so Dad shouldered his gun, and feeling as if he were about to take candy from Children, went up and bagged one bunny – we hope it will discourage all the others. He says he is going to send Unk to college to learn Rabbit, so that we can put up a sign and give them fair warning. He who eats of these beans, dies – or something like that. We were having pretty much that discussion in the demo garden last week (minus the firearms). Careful readers will note the “Swift Charge” above, which I am assuming is a private joke for Swiss Chard. I don’t know what type they grew, but the rainbow of colors is not new to this century, so it might have been red or yellow or green or something else. I’ve always loved having chard in my garden because it’s so pretty – but sometimes, like this year, I accidentally overplant, and need to deal with a very vigorous crop indeed. 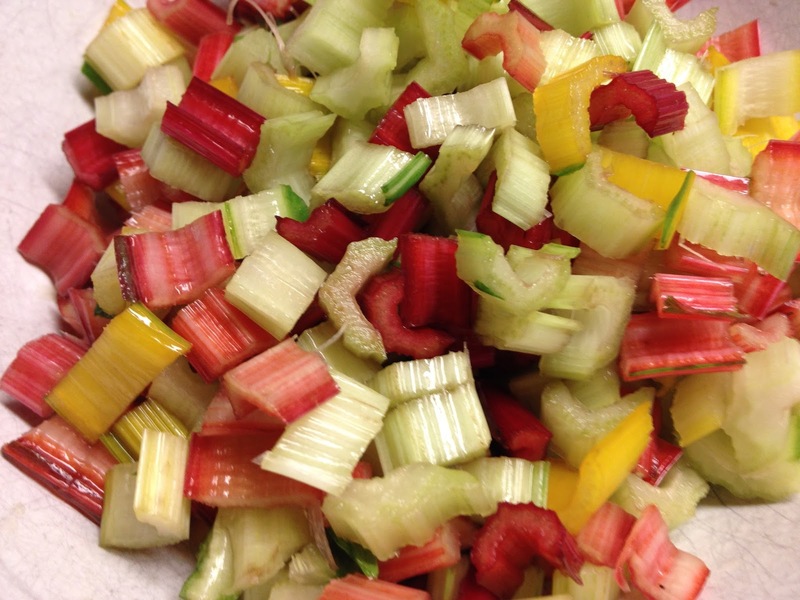 Chard can be started in the cool weather of April and will continue to produce through summer and into fall in many years. I’ve been cutting the outer leaves from my plants regularly, steaming and freezing them for later use, and we happily replace kale and other now-vanished greens with chard in our usual sautés. 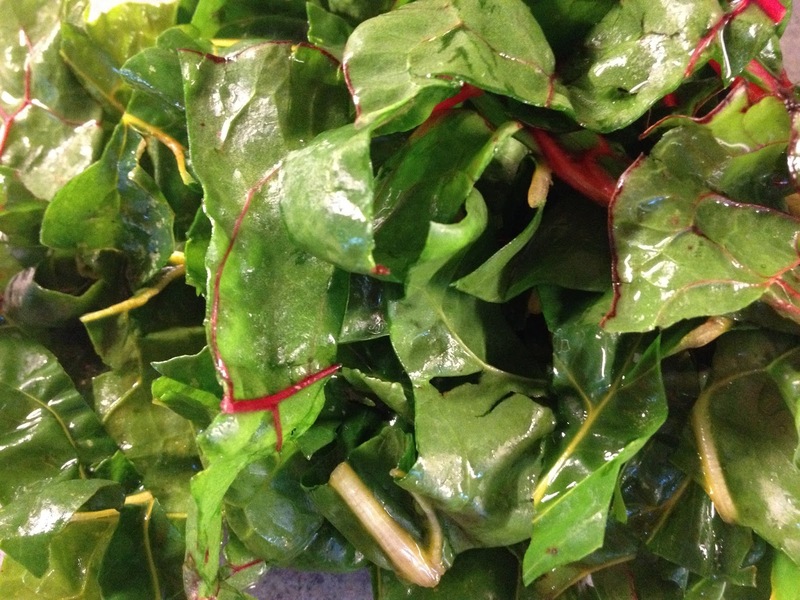 Chard several times a week is a bit of a challenge, though, so I’m always looking for recipes. Here are several (with a clickbait title, but the ideas look good). 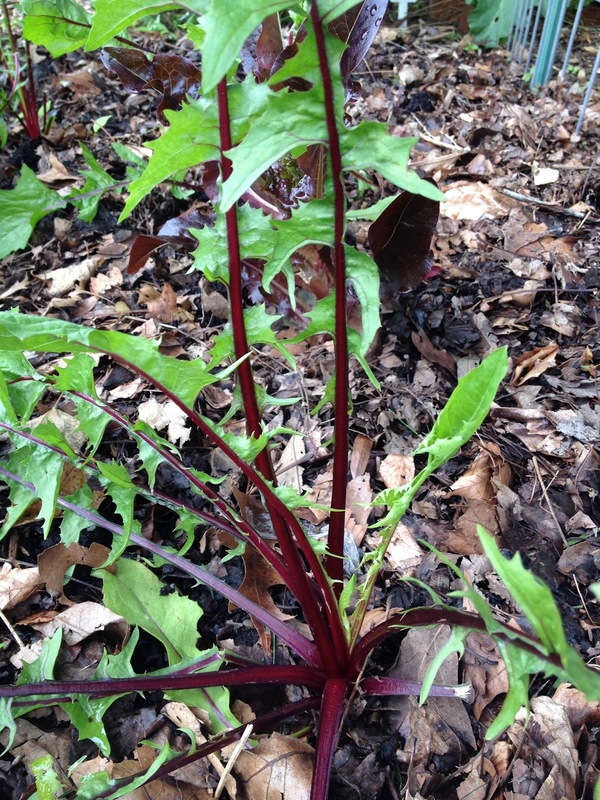 Chard is a member of the amaranth family; it’s the same species as beets, just a subspecies developed for tender leaves rather than delicious roots (though beet leaves are also very edible). Spinach is another member of the clan, and many spinach recipes can be adapted for chard, as can many recipes including the non-related brassica greens. I usually separate the stems from the leaves, since the latter will cook a lot faster. though I’m sure ordinary lawn ones would do (might be too strongly bitter at this time of year, though). Enjoy your Swift Charge in the garden, and charge right through dinner made with it too! ← Twining direction in beans: true story or myth?